I have written before on sustainability, and it is a tricky topic to define and pin down. However, one thing that helps bring any issue to the fore is to measure and/or report on it. Many companies do report on sustainability and environmental issues. Whether such reporting is genuine or “green-washing” is another debate. CGMA recently conducted a global survey of management accountants, and the report can be found here. A nice infographic of the key points can be seen here in the December CGMA magazine. One of things that jumped out at me was that the highest perceived benefits of reporting on sustainable issue came from management accountants in Africa. The report/survey suggests that management accountants are very aware of the need to report on sustainability and note it is beneficial. It also surprisingly suggests that the greatest barrier to reporting is no demand from decision makers. 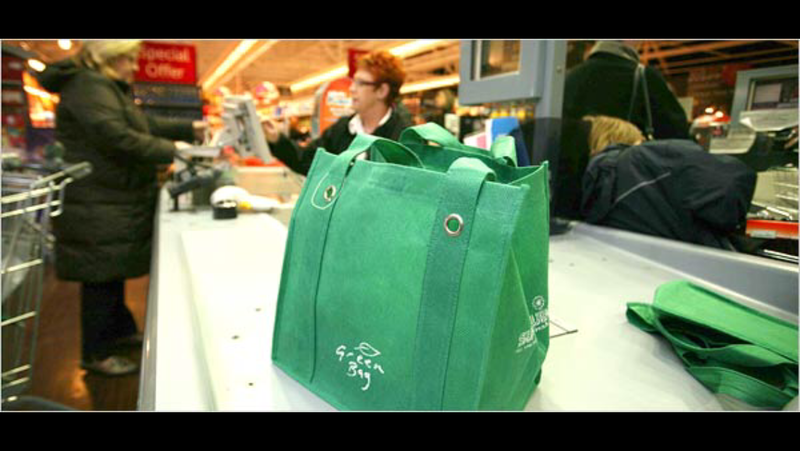 It’s 13 years since Ireland introduced a plastic bag levy of 15c, then 22c. Since then, around €200m has been collected from consumers. England recently introduced a similar scheme and this prompted me to reflect on what the less use of plastic bags has meant for Ireland – with a cost/accounting angle of course. The first thing that strikes me is the lack of plastic bags stuck in hedges. Not only does this mean a cleaner countryside, but much lower clean up costs for local councils.Second, I would say the packaging industry did not lose out, as paper bags are generally available in stores – cost neutral in terms of employment. This is good too as paper is renewable, but also lost people have a car boot full of reusable bags. I still have some dating back to 2002 believe it or not. Third, as a tax it worked in that it changed our behaviour as a nation – for the good of the exchequer and the environment. The cost you add to a flight – yes, you. The April 2015 edition of National Geographic includes a very nice short article which draws on the work of two MIT aeronautical engineers. The article to me is a very nice mix of explaining why airlines charge more for more weight (of bags usually, but some airlines are considering weight of passengers too), and how we as passengers can reduce CO2 emissions as we fly. There are two points to take from the above. It is obvious that airlines may charge more for weighty items as these drive fuel costs up. The second point is look how much cost we could save the environment by taking even small steps like taking a pee before boarding – $29 x 190 seats x 303 = $1,669,530 worth of fuel. This is just one airline, and I have no idea how much CO2 emissions are reduced by, but as Tesco say “every little counts”. This quote reminds us that behind the numbers are real jobs, real people and real effects. It may be easy to forget this as you trawl over a ledger audit trail or provide information to managers, but reminding ourselves of the broad reach of our accounting numbers can only be a good thing. 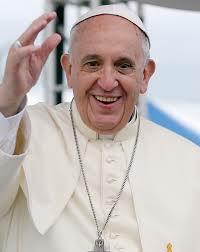 The full text the address by Pope Francis can be found here. 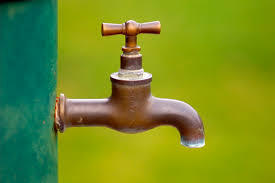 I have recently been involved in a research project on the newly formed Irish Water – a state-owned utility responsible for water supply in Ireland. The main objective of the new utility is to provide a unified approach to water supply – as opposed to the 30 odd previous authorities. While the utility has caused much media attention, this post draws your attention to the use of accounting principles in the provision of water supply. Let’s think about water as a resource, which it is. Now think about the utility. It needs to account for the water it processes, distributes to customers and looses through leaks etc. To do this it needs various measuring devices such as meters. So, in a similar way to a ledger account, we could think as water coming into a system as a debit, water out a credit, the measurement is in litres (not money) and we should be able to account for the difference i.e. the balance on the account. Now think about the end consumer of water. Similarly water comes in and out – the latter being usage. With meter installed, we can account for our usage, possibly trying to reduce usage. Or we can seek an alternative (partial) source of water by harvesting water from the roof of our house. 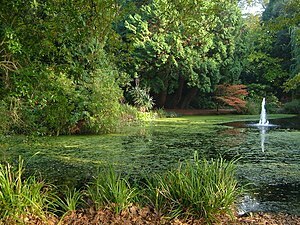 By accounting for our usage, ultimately we can make decisions to reduce usage if we have to pay for the water resource. Without the ability to account for our usage (through a meter), we cannot make such decisions. This is of course more like management accounting – using our information on water usage to make decisions – but it is still accounting. A while ago, I was asked to write some entries for an Encyclopaedia of Corporate Social Responsibility. I enjoyed this and the research behind the writing. One of the terms I wrote about was Local Food. Without repeating the definition verbatim, local food is basically food grown within a local area. But what exactly is local? Town, region, state, country or what? That’s the hard part. The image to your right shows some nice juicy strawberries. When I was a kid, we had these as treats from about May to July. And they are a treat, once in season and local. But now I can get strawberries at Christmas – but they taste c**p usually and come from many miles away. This is definitely not local food. Bringing consumers year round fruit (and other food types) is an expensive and difficult business. An article in the November edition of National Geographic gives some idea. Yes the example is US based, but it has some hard facts. The article follows the 3,200 mile journey of strawberries from California to Washington DC. The berries are grown on large-scale farms and over 500 trucks a day can be involved on just one farm. The retail value of each truckload is $90,000, and fuel for each truck costs $2,700. Total journey time is 80 hours, for which a driver must be paid etc, and think about the wear and tear of the truck. This is hardly a local food example I would argue, and it easy to see the money involved. And I’m not even starting on the true cost, which includes costs of large-scale farming (pesticide run-off for example) and CO2 emissions. I recently read an article from the Guardian which highlights the problems of measuring and reporting all things environmental, sustainable and social. The article noted a recent study n the Journal of Cleaner Production. It analysed metrics used in academic literature to measure performance in sustainable supply chains. The study reveals a total of 2,555 different metrics were published in 445 different articles. I think we would all agree that publishing some performance measures on sustainability and similar issues is very important. But if we do not have a set of standards to follow, comparing things is quite difficult. 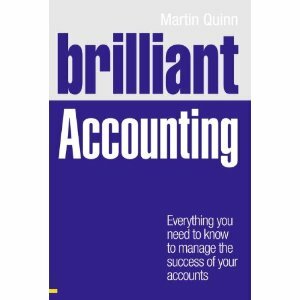 This should sound quite familiar to accountants, as before we had financial reporting standards in the 1970’s and IFRS at EU level today it was not easy to compare financial statements. Although there are some standards on environmental and social reporting (such as the Global Reporting Initiative), these are typically voluntary. The EU has recently provided some help and impetus. According to a CGMA article, “About 6,000 large companies and groups across the EU will be required to disclose certain non-financial information on environmental and social impacts as well as diversity policies for boards of directors”. The Directive must be implemented by member states within two years, so by 2017, we should see the first reports. I am sure some will say the Directive does not go far enough, but at least it’s a start and it sets a standard. This is better than no reporting or such diverse reporting that it becomes pointless. What is true cost accounting? True cost accounting (also called Environmental Full Cost Accounting) is a process which tries to identify all costs associated with a product or service. This includes not only the normal costs we would associate with a product or service, bit also social and environmental costs. It attempts include what economists call externalities – something which affects society or the environment but is not included in the market price of the product. Rather than me continue, here is a short YouTube video which explains the concept in a very clear way. It is very interesting that Martin’s story of the wasted portions of condiments on an airline flight is a very simple setting to think through the complexities of the issues we face around sustainability. But before we examine Martin’s example further we first need to think about what exactly sustainability is and more importantly what it is not. The first question to ask is what is it that we are trying to sustain? While this may appear as quite a straight forward question the answer is not as most expect. Sustainability is about sustaining humanity. 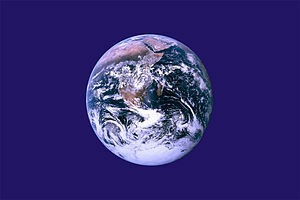 Put simply we need the ecosphere in which we live but it does not need us. This leads to an interesting understanding of a nested system view of the world. That is the economy resides in our societies and our societies in turn reside within the ecosphere. Thus no ecosphere then no society and in turn no society then no economy. With having worked out what it is that we are trying to sustain we still need to investigate a few more things before we can put forward a concrete definition. In order to do so I need to introduce the ecological footprint, which is an accounting tool that measures the biologically productive area required to sustain a given population. This has been calculated for the entire world with the formula being the total biologically productive surface area divided by the population of the world. The result of this calculation gives us what is referred to as each individual persons Earth share. That is it provides us an indication of the average amount of biologically productive surface that we each have available to us to provide all that we need and want as well as absorb all the waste we generate. Based on 1996 data we know that the Earth share per person was roughly the size of one football field and this is not even taking into account the space required for other species we share our planet with. To draw an appropriate conclusion from the above calculation of the average Earth share we need to draw an analogy between the ecosphere and a business. With a business we invest capital from which we expect to earn some form of interest. It is this interest that we expect to use to pay for the things we need and want to live from. However, in some situations we understand that the interest we earn may not be enough to support what we want and therefore we may decide to withdraw some of the capital. This is fine as long as we understand that we are doing this (and hence the need for good accounting) and that we understand that if we keep removing capital then the business will eventually go bankrupt. So it is with the ecosphere. Interestingly environmentalism first started to gain traction with space exploration back in the 1960s when it became very clear from the photos taken from space that we live on a finite planet. Hence we can view the ecosphere as having a finite amount of natural capital from which we derive natural interest (usually through interactions with the energy produced by the sun). So in terms of our Earth share this requires deriving everything we need from the football field without depleting the existing resources on that football field. However, the ecological footprint calculation based on 1996 data showed that our resource throughput (measuring resources being taken from the ecosphere as well as waste that the ecosphere is required to re-assimilate) was 20% over the levels of natural interest. This has increased to 50% over the levels of natural interest based on 2008 data. Put simply it would take one and a half years to generate the resources we consume within a year and thus we are currently, and potentially irreversibly, depleting the levels of natural capital, the very thing we require to keep sustaining us. We can therefore define sustainability as humanity not over-consuming the resources available to them and thereby irreversibly depleting the levels of natural capital while at the same time ensuring an equitable and fair distribution, both within the current generation as well as across all future generations, of the resources available. Hence returning to Martin’s analogy it is not only the amount of things we waste that we must be aware of but also the levels of resources we utilise. Hence, what would the ecological footprint of Martin’s flight look like or in other words what was the amount of biologically productive surface area required to sustain this flight? In the next post (as Martin has been kind enough to allow me to post two) I will briefly overview experiments around accounting for sustainability. As part of this we will investigate how well the measure up against accounting for a world of finite resources. We will even see that successful examples like the ecological footprint have inherent weaknesses that require us to question whether business that are serious about engaging with these issues may actually require a series of sustainability focused controls to guide their efforts. Wackernagel, M., Rees, W.E., 1996. Our ecological footprint : reducing human impact on the Earth. New Society Publishers, Gabriola Island, B.C.